Off the Beaten Path started out as a custom travel company, but we decided early on that we wanted to bring the same level of excellence to small-group travel. You’ll find a custom sensibility on any trip you take with us, whether we plan a private trip just for you, or you join us on one of our distinctive Small Group Adventures. Ready? Excellent. Wanderlust. The urge for going. Road warrior. Citizen of the world. However you want to describe our human inclination to be on the move and to venture beyond our home grounds, it’s undeniable that we have it. In fact, scientists tell us that the inherent itch to travel is in our genes; gene DRD4-7R to be exact. It has been dubbed the “wanderlust gene” because of its correlation with increased levels of curiosity and restlessness, and it’s been driving our explorations for as long as we’ve been on Earth. So while travel calls to all of us, how we choose to go about it is where our individual differences come in. And if you decide to go with Off the Beaten Path, we’ll use all of our resources to make sure that your journeys are innovative, immersive and just what you were looking for. If who accompanies you on your travels is the most important element of how you go, we can either set you up with one of our Small Group Adventures or help you craft a Custom Journey. Not only is wanderlust in our genes, people are hardwired to crave acceptance, belonging and camaraderie. That means that sharing your adventures with at least one other person—and, better yet, more—can make your experiences feel sweeter. Sign up for one of our small-group trips, and you’ll be among a select set of like-minded, soon-to-be friends. If you’d prefer to create your own itinerary, just tell us where you’d like to go and what you’d like to see and do. Then, using your desires as a compass, we’ll make suggestions based on our 30 years of travel-planning expertise and the local connections we’ve built over the decades. We’ll even let you know where we think a private naturalist or historian will be able to give an extra measure of enrichment to your adventure. Then you make the final choices that will mold your trip into one that is uniquely yours. Perhaps “how you go” is more motivated by what you do. 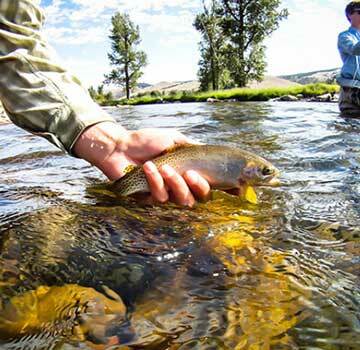 Does fly-fishing excite you? There’s an adage that goes: “trout don’t live in ugly places.” That’s why angling gets you out into some of the most beautiful, natural and pristine spots around—and we’ll make sure you find them. 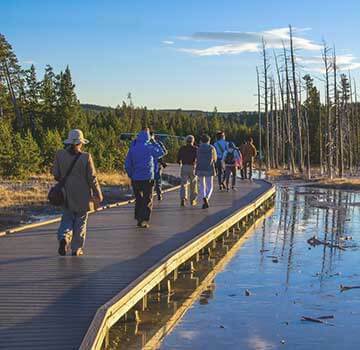 Is getting an authentic taste of the American West on your mind? 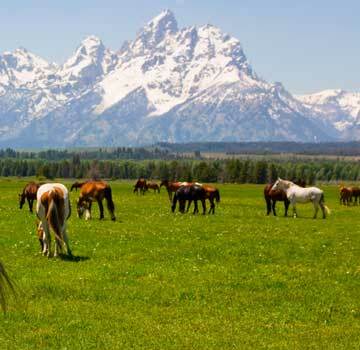 We’ll arrange a ranch vacation for you, away from the hectic world of schedules. You’ll discover the peace and beauty to be found in the land, learn to ride and appreciate horses, go on multiday pack outings into wild mountain corners, white-water raft on scenic rivers and get reacquainted with your family. In his classic book On the Road, American novelist and poet Jack Kerouac wrote, “We lean forward to the next crazy venture beneath the skies.” Science shows us that we all need to venture out once in a while. It’s part of our genetic makeup. So the next time you find yourself leaning in that direction, let us help you get going.